These little guys need your help so that they can recover, grow, develop and one day make it back to the wild. The sanctuary needs your helping hand to keep running smoothly and provide clean, safe facilities for its cheeky little monkeys. You’ll be asked to help out with a range of tasks and the longer you are here, the more varied your role. You’ll work 6 days a week, fairly long days but that’s what you’re here for, to monkey around, right? You’ll get stuck in, get your hands dirty and have a whole lot of fun! 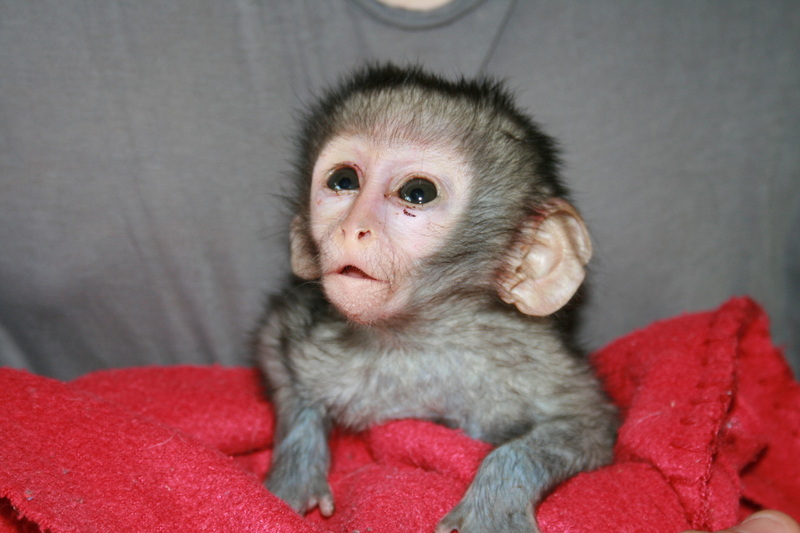 Caring for orphans – in baby season, between November and February, many Vervet monkeys are orphaned. They need constant supervision and care by volunteers to get the best start in life. You will prepare bottles of milk for the cheeky chappies and administer medicine where necessary. You may be required to handle, feed and monitor the babies throughout the day – these little guys are not toilet trained, so bring old clothes ! Feed and Care for juveniles and older monkeys – collecting and preparing food, de-worming, administering medications, grooming. You’ll enjoy one-on-one time with the monkeys and help to integrate them into new troops, a very important part of the rehabilitation process to get them ready for release back into reserves. 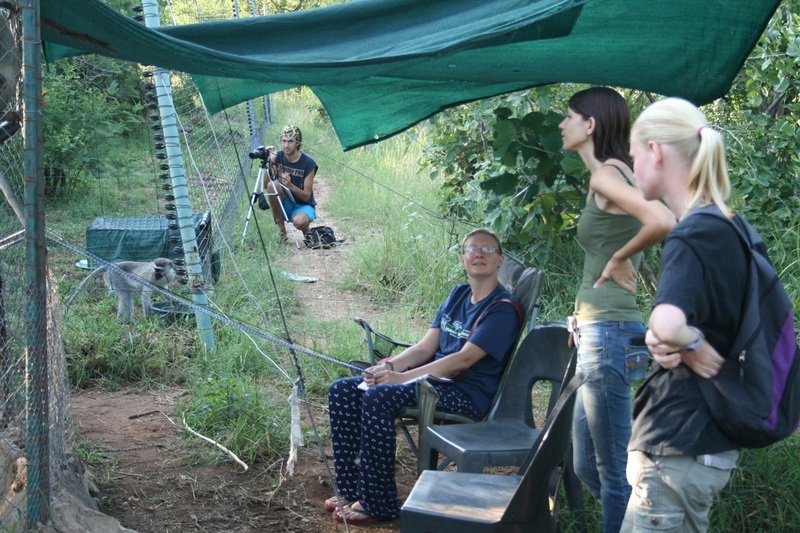 Observation - an important job as you will help to monitor and observe each monkey within the sanctuary, checking for any injuries, stress or sickness, reporting information back to 'base' to ensure the monkeys stay in the best of health. Maintenance and development – you might help with building new enclosures or collection of branches for climbing, general maintenance including fencing or clearing of invasive vegetation. All of these tasks are really important to ensure the monkeys get the best care possible. Day 1 (Monday) Arrive at Johannesburg Airport (JNB) where you’ll be met as soon as you leave airside – our guy in Jo’burg will drive you the 45 mins to a hostel in Pretoria where you’ll spend your first night in Africa. Unless you’re flying Qantas QF63, flight arrivals must be before 4pm please. Orientation at the hostel will take you through what you can expect from your project, dos and don’ts and safety measures. It’s also a great opportunity to ask any burning questions you’ve got. Then dinner will be served and you can relax and prepare for your first day. Day 2 (Tuesday) On day 2 we’ll deliver you safely to the early morning bus for the five-hour journey to the project site. The team will be there to meet you on arrival and take you to the project where you’ll settle in to your room, meet the staff and other vollies, and explore the sanctuary, getting your bearings. Day 3, 4 & 5 (Wednesday–Friday) November to February is baby season for the monkeys so if you’re volunteering during this time be prepared to start your day at 6am to take care of the orphaned youngsters. You might even need to work an occasional overnight shift to give the babies round-the-clock care. Outside of these months, enjoy the lie-in as you won’t start until a lazy 7am ! . You’ll be involved in a variety of duties from monitoring the health of adult monkeys and baby monkey feeding and care to helping with construction or maintenance. You’ll look after the orphans, wash bowls, feed monkeys, help out in the sickbay, clean enclosures, observe and record monkey behaviour to help with research, write articles for newsletters, take photos and collect fruit and vegetation for monkeys. Whatever keeps this place running, they need your helping hands to make it happen. You’ll be working alongside the regular staff so there’ll always be someone to help you and it’s so much fun getting to know the staff, your fellow volunteers and all the little monkeys! Day 6 & 7 (Saturday and Sunday) You have half a day off at weekends and one day off during the week. There are lots of things to do in the local area – Kruger National Park is close by and you should also find time to visit the great waterfalls in the area, Blyde River Canyon and Gods Window. If you’re feeling adventurous, try the gorge swing, quad biking or horse riding – or if you prefer to kick back, then have a swim or spa at a nearby lodge or go shopping at the local mall. Occasionally a member of staff will take a group out for an afternoon (dependent on vehicles and drivers). Your Last Day (Monday) At the end of your project a member of the team will drop you back at the bus station for your journey back to Pretoria (ticket included). You may be travelling elsewhere in Africa or you may be heading home - if you’re flying out from Johannesburg, unless you can get a late night flight we advise spending the night in Pretoria (we can book for you) and flying out Tuesday. You’ll stay on-site in basic but clean two-person wooden cabins. A lockable storage box is provided (BYO padlock), and a mattress, pillow and sheets – but BYO sleeping bag. In keeping with projects’ ethos, the cabins do not have electricity so bring a torch; you’ll be able to recharge your phone, camera, tablet, etc at the central cottage – just not in your cabin. Toilets are eco-style and the warm showers are al-fresco and bush style. There are 2 private cabins with double bed and doona (for an extra fee) suitable for couples or those who prefer a bit more privacy, a short walk away from the volunteer village. There’s a fully equipped kitchen and a campfire - you’ll spend many an evening here enjoying the sounds of the African bush whilst gazing up at the perfect blanket of stars. Breakfast is self-service (cereals, tea, coffee, soya milk, sugar, toast, spreads, fruit and seeds are provided for you), and you can help yourself to bread, peanut butter, jam and fruit at morning tea. 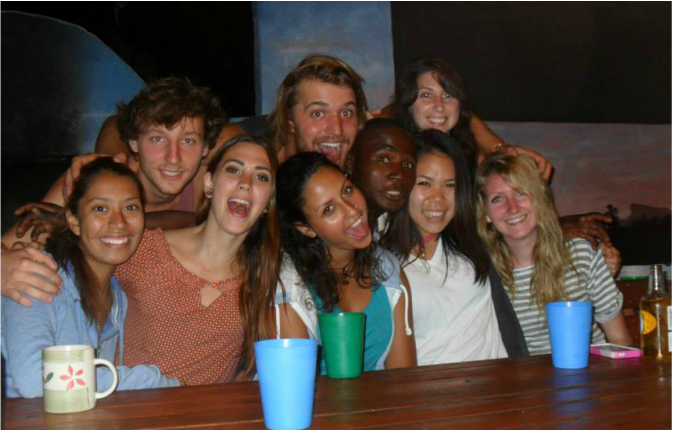 During the week lunch and dinner is prepared and served by our African chef, and on the weekends there is a roster for meal duty. No pressure if it’s your turn – your new found friends will be sure to help you out and if you’re struggling for inspiration, the kitchen has a book of recipes that previous groups have enjoyed ! The sanctuary operates to strictly vegan principles, and you’ll love the varied, healthy and incredibly tasty options served up to you - a vegan diet is in keeping with the foundation’s belief in doing as much for animals, environment, people and planet as possible. Expect to savour delicious meals such as vegan shepherd’s pie & gravy, veggie burgers and chips, soups, lasagne, schnitzels, sausages, salads, hummus and guacamole sandwiches, wraps with veggie strips and more. The food gets excellent reviews from vejjos and carnivores alike. You can stock up on snacks in town, and if you need a meat-fix there are plenty of lodges and restaurants in the area. There are so many free-time options here in the heart of the African bush country – ticking off the Big Five is a must and there are private reserves and Kruger National Park within an hour. There are also other amazing attractions within a couple hours drive - Blyde River Canyon, Mac-Mac Falls, Berlin Waterfall, Bourke’s Luck Potholes, God’s Window, Debengeni Falls and the Modjadji Cycad Forest to name but a few !! Bring your Australian driving license as you may wish to hire a car to get around. This is not a malaria area (but many surrounding areas are, so tell your GP if you are planning to visit Kruger NP, for example) - we recommend packing insect repellent of course and a mosquito net is also recommended to ensure a peaceful sleep. Winters (May to September) are cold during early mornings and evenings - bring warm clothes. All year round pack a sweatshirt, sunblock and a good rain jacket. dirty. Neutral colours such as safari khaki and beige are preferable for working with animals and also don’t show the dirt as much. Don't forget a torch and plenty of batteries (or a rechargeable camping light) - also bring your camera, music and some books to read while relaxing in the evenings. There are pubs, lodges and restaurants close by if you want to get out and about. The Vervet Monkey is listed as a threatened species, so this vital project provides a sanctuary for those who have been orphaned, abused or injured – the aim is to rehabilitate them back into protected reserves and to provide natural enclosures for those that can't make it in the wild. 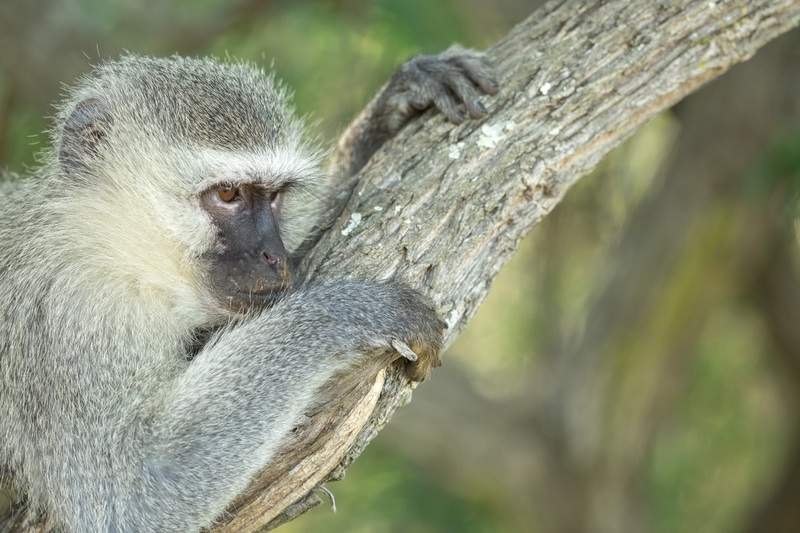 The 25 hectare (62 acre) sanctuary has about 500 Vervet Monkeys in residence at any given time. Orphaned babies are nurtured and introduced to foster mums - the sickbay treats the sick or injured. Orphans are integrated into troops as juveniles and once this process is successful the troop moves to a soft release environment on-site, before making their final step back into the wild. Individuals who have come to the sanctuary following an injury will be released back to their own troop in the wild, wherever possible. The foundation provides education programmes for the local community focussed on the monkey’s importance to eco-systems and how humans and primates can live together in harmony. The project is verified by GFAS (Global Federation of Animal Sanctuaries), and is a member of PASA (Pan African Sanctuary Alliance). SPCA, Department of Nature Conservation and PASA all make regular visits to ensure the animals are being well looked after. The project promotes a vegan lifestyle and works to educate people on how the way they live impacts on the lives of animals and their habitats. Their aim is to encourage more people to understand that looking after the environment and planet begins at home.